A 6.2 liter 583 horse power V8 engine, seven-speed gearbox and a top speed of 197 mph, this 2103 Mercedes-Benz SLS AMG GT is one hell of a piece of kit. Zero to 60 in a mind-numbing 3.6 seconds means that the only thing that'll beat it from the lights is a very powerful bike. 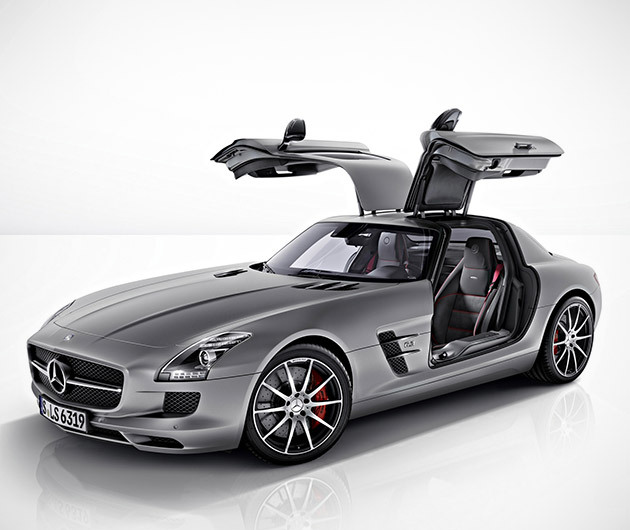 With to-die-for looks to back up these incredible stats, the 2013 Mercedes-Benz SLS AMG GT promises to be the must-have toy of the year.